Inivalappil Mani Vijayan, born on April 25, 1969, in Thrissur, Kerala. 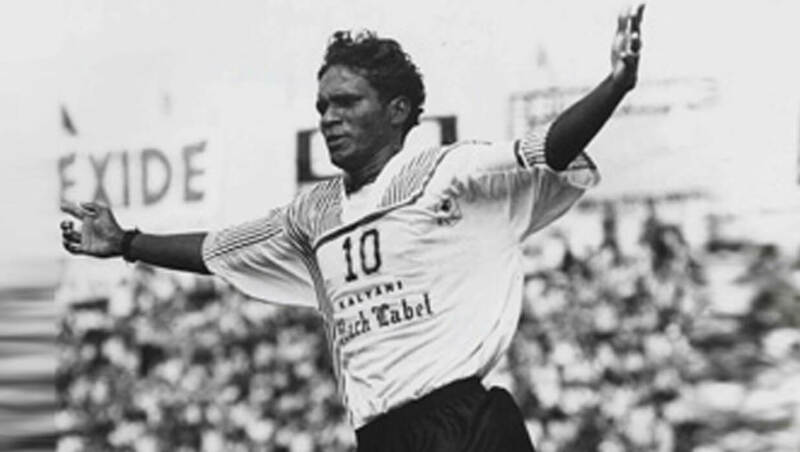 At the age of 17, he made his club career with his Police squad team at Quilon Nationals in 1987. From there he represented the Indian team in many international tournaments like Nehru Cup, Pre- Olympics, Pre-World Cup, SAF Games, SAFF Cup, and Sahara Cup. He stayed with Kerala Police till 1991 and later moved to Mohun Bagan, Kolkata until 1994. Later he joined JCT Mills, Phagwara, in total from 1987to 2006, he played for six different clubs including Churchill Brothers, East Bengal, and FC Cochin. He was awarded “The Best Footballer of the Year” in 1993, 97 & 99. He became the first person from Kerala to win Arjuna Award in 2002. His successful striker combo with Bhutia for Indian football team made magic goals. He also captained Indian Football team from 2000- 2004. He scored one of the fastest international goals against Bhutan in 1999 SAF Games. In his successful career, he has scored 40 international goals in 79 matched for India. From a gravely poor family environment, he managed to reach where he is right now, he was one of most highly paid footballer in India. He retired from the international game after Afro- Asian Games in 2003. After retirement, he started a football academy to train young talents. In 2017, Ministry of Youth Sports and affairs appointed him as the national observer of Kerala.